Have you ever been to a silent disco? Sure, perhaps. But have you ever been to a silent concert? Probably not. 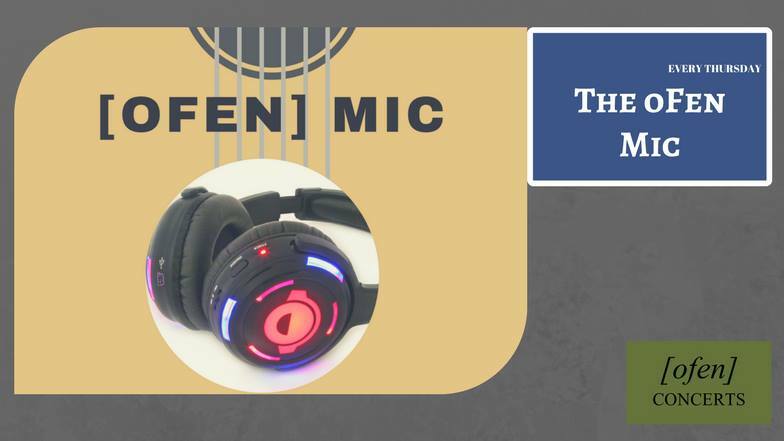 This is your chance: The oFen Mic at Saarbach Galerie Kulturcafé. This time it’s hosted by the lovely Joey Ryan, musician in his own right, he’ll guide you through a unique evening during which 7 musicians will perform two songs each. Doors open at 7:30pm and the show starts at 8:30pm. Btw. if you wanna perform yourself, you’ll get a a drink for free. This entry was posted in Event, Music, Whats up in Berlin and tagged 2018, Culture, live, music, Whats up in Berlin by U inn Berlin Hostel. Bookmark the permalink.